The Art of Field Recording. 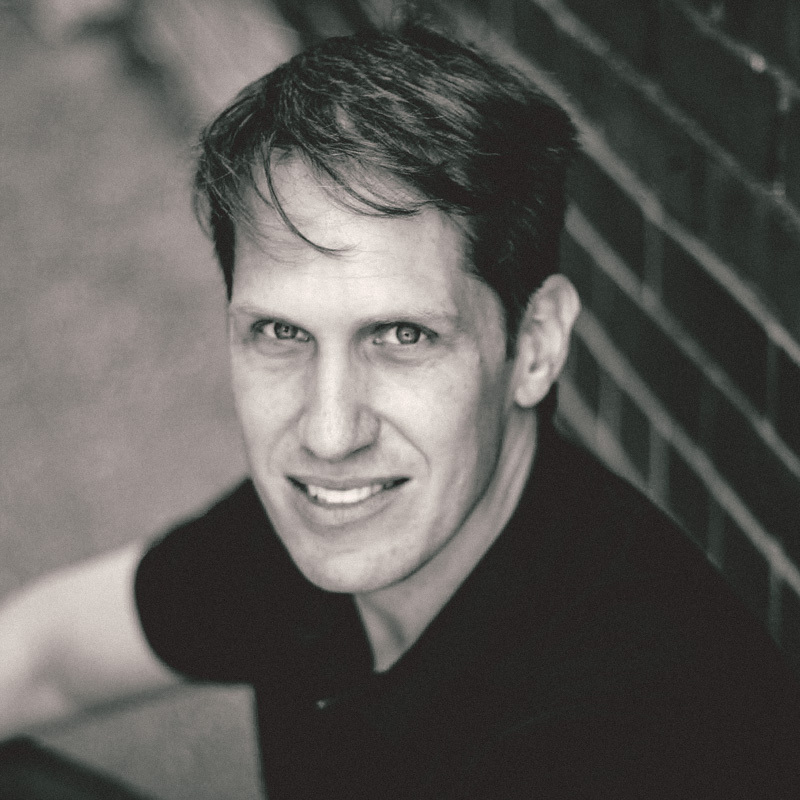 Today we welcome Paul Virostek. 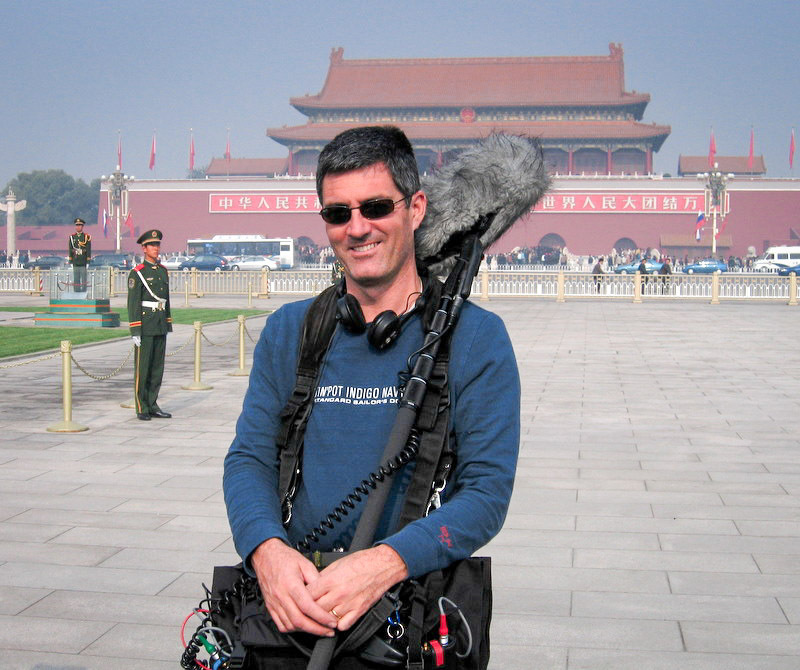 For over 20 years Paul has been Field Recording for film, television, game audio and sound publishers. He has worked on the sound effects for the Michael Mann film “Ali” and continues to add to his sound library of 25,000+ sound effects. 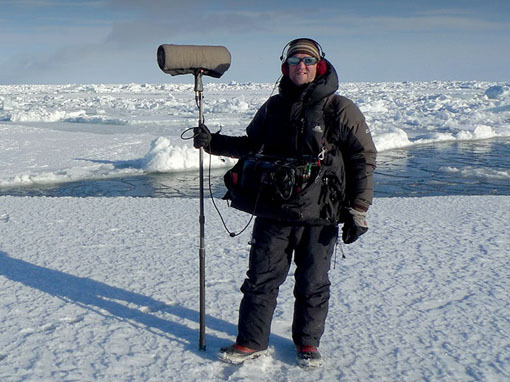 When did you realise you had a passion for field recording? One of my first gigs was working as a sound FX assistant for Canadian television series. Of course, major feature films may have time and a budget for field recording signature sound effects. Schedules for television at that time were pretty tight. There wasn’t much time or a budget to provide fresh sound effects for the shows. So, for these projects, the best decision was to draw on CD library sound FX for the soundtrack. In my second year, I assisted Toronto sound editor Rob Bertola. 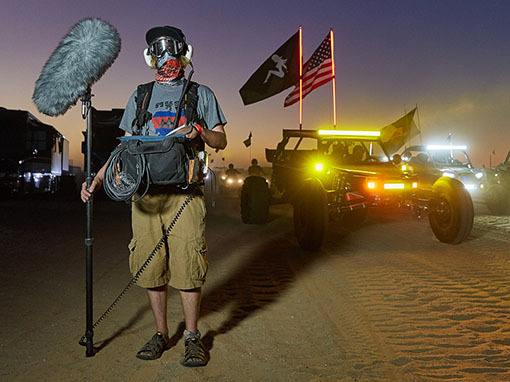 Rob was always eager to capture fresh sound effects beyond just the plot-dependent signature clips of race cars, guns, or wild animals and so on. We would take a morning away from the studio to record more “standard” or “foundation” sound FX like snow impacts and movements, Doppler horn passes, and city ambience. 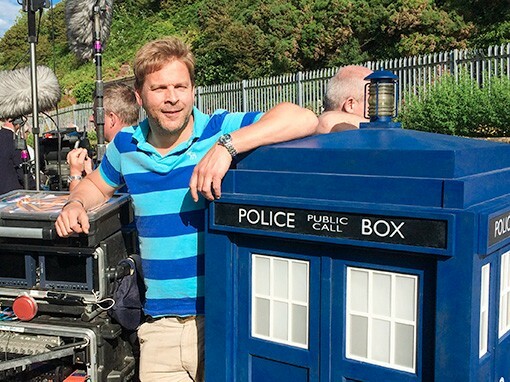 These sounds are widely available in sound libraries; however, Rob believed that using fresh sound FX recorded yourself invigorates a soundtrack, and invests an editor more deeply into the project. Everyone ends up affected by that: the editor, the mixers, and hopefully the listeners as well. That idea made a huge impression on me. I bought my own kit, and began recording sound effects as a hobby outside of work. After doing this for a while, I began to see sound effects differently. Before, I viewed them just as a tool to fit into a soundtrack to get the job done. When I began recording the tracks myself instead of sourcing them from CD libraries, I began to see capturing sound effects as a form craftsmanship itself. I found I enjoyed the challenge of capturing a cool sound cleanly and evocatively. That goal inspired me to pretty much drop post-production work completely and focus solely on field recording. I found I could spend all day recording sound effects and not feel the time pass. It was completely engrossing. I realized I preferred that to editing and shifted my focus to field recording. We would take a morning away from the studio to record more “standard” or “foundation” sound FX like snow impacts and movements, Doppler horn passes, and city ambience. What’s in your recording kit bag? Any favourite pieces of gear? I prefer a minimalist recording kit. I travel for months through different countries recording sound effects. When a kit is large and cumbersome it becomes an anchor. 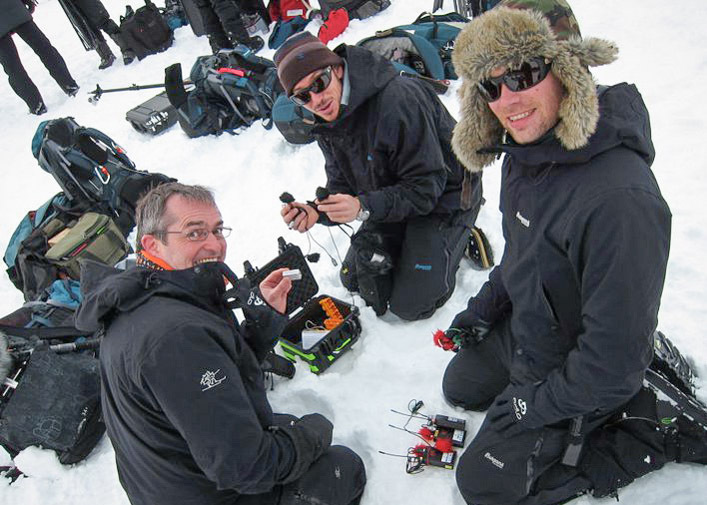 A complex kit makes it hard to respond to the energy at the location. It doesn’t capture these kinds of sound effects well. It’s also more noticeable, which causes people in these places to act differently and ruins an authentic representation of that place or sound. So, I have a stealth kit that focuses on higher-quality gear that is compact and easy to use. I use a Sound Devices 722 recorder. It’s built for punishment, and has great preamps. I prefer its internal hard drive to memory card storage since I am often on the road for months at a time and the extra storage is helpful if you’re away from a workstation for a long time. My main microphone is the Neumann RSM-191i. This is a stereo shotgun microphone known for its rich sound and detailed, deep soundstage. I prefer it because the capsules can be adjusted via a matrix box to capture various widths in both mid-side and stereo. So, this one microphone is incredibly flexible for handling a wide variety of sound effect subjects. I also have a pair of DPA 4060 microphones which I use in an A-B configuration for ultra stealth. They produce amazing sound for their size, and their low form factor allows me to record inconspicuously where the Neumann would be spotted and corrupt the sound of the environment. Each of these is supported by Rycote wind protection. I use the Modular kit (fitted with special Lyres for the 191’s extra-wide, 30mm body) combined with a Windjammer if needed. I also use Rycote Lavalier Windjammers for the DPAs, and Rycote Windjammers for every one of my plant-and-forget portables such as the Sony PCM-D100. At some point, I’d like to add two new microphones to my kit: a TSL Soundfield 450ST Ambisonic microphone, and a stereo pair of Sennheiser MKH 8040 mics. Wind is one of the worst enemies of the field recordist. Since field recording is predominantly performed outside, wind is possibly the most important challenge for field recordists to overcome. 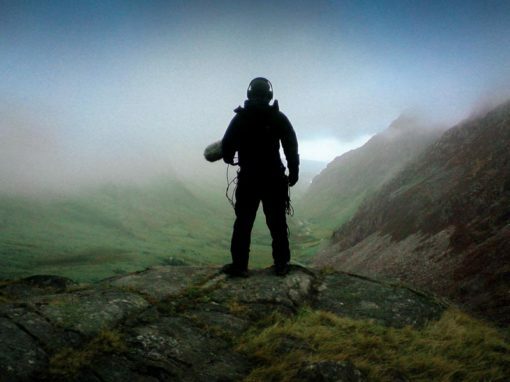 How do you deal with the technical challenges of field recording in windy conditions and poor weather? 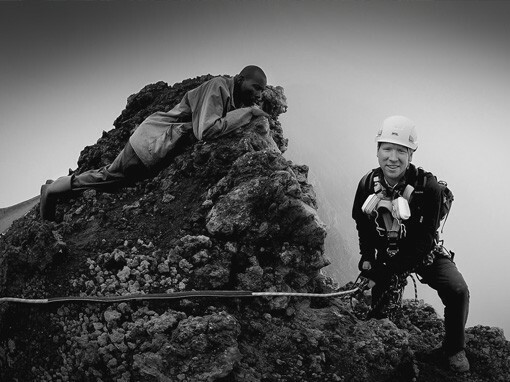 The first, easiest step is to use professional wind protection. Rycote is the only wind protection I use. The zeppelins are built well and are lightweight. The Lyre brace holds the microphone solidly. All of this is especially helpful in the run-and-gun situations I commonly experience. The technology’s sonic transparency makes it a no-brainer. Wind is such a significant obstacle for field recording; it can easily scrap an entire field recording shoot. I need wind protection I can trust completely so I can focus on performing the sound effects or tracking evocative performances, and for me, that’s Rycote. 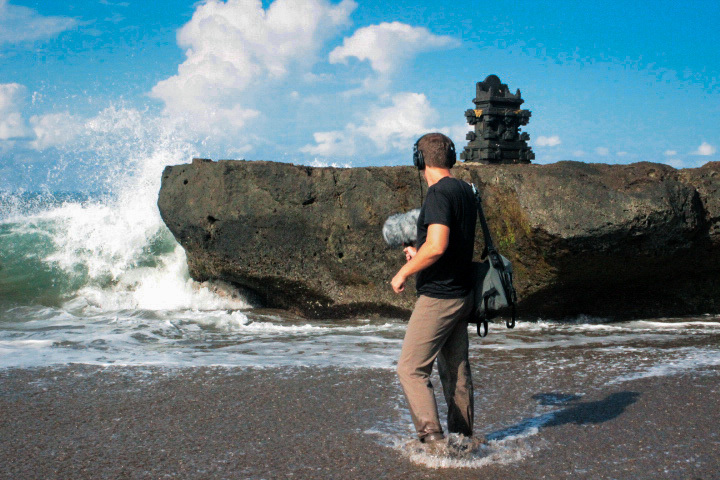 Field recording is often less structured than studio work. That can work both ways when dealing with weather and wind problems. 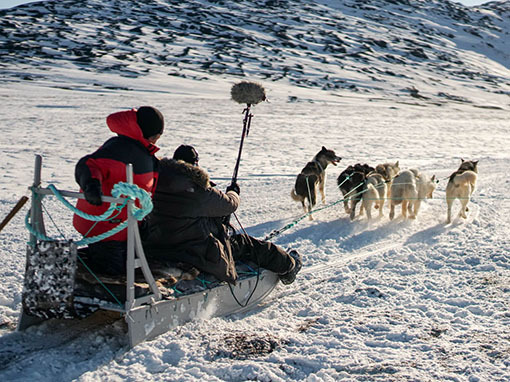 While challenges from the elements are greater outdoors, this also means field recordists can use other tools to capture clean sound. 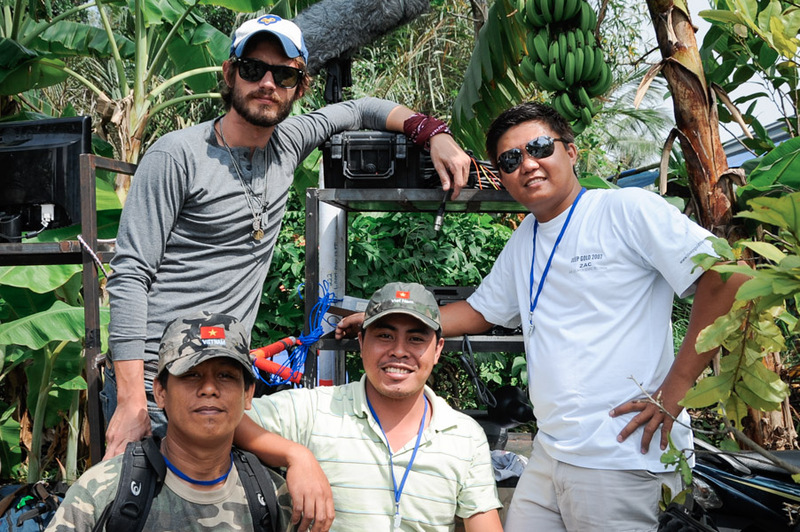 We’re able to maneuver and manipulate the environment more so than our production sound brothers and sisters since we’re not restricted from stepping in front of a camera or casting shadows into a shot. 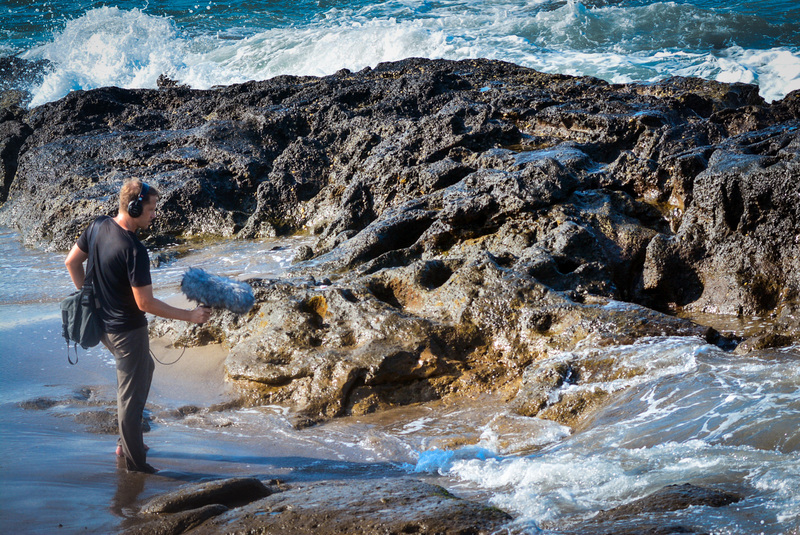 Field recording often occurs far away from the studio. 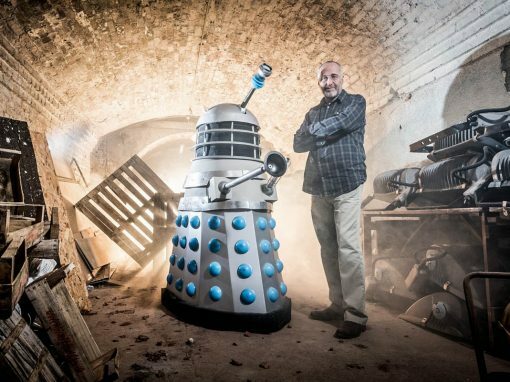 It’s not possible to duck into a Foley studio or your garage to find a fix for a problem. So, I use whatever I can around me to supplement the Rycotes to get the job done. Often, the best protection from the elements includes unconventional or jury-rigged solutions: building impromptu blinds, strategic positioning, or shielding the kit with the environment itself. Some solutions can be quite unorthodox: a compact umbrella can create just enough of a cone of shelter to serve as an emergency wind baffle. I spread a sheet of craft store faux snowdrift blanket fabric over the blimp to help diffuse rain drops. I coat all bag zippers with Plasti Dip to minimize rattling sounds in stormy winds. Anything is fair game when you’re fighting the elements. What are some of your proudest accomplishments and/or favourite projects? My first major project was working on the Michael Mann film, Ali. Greg King and Rob Nokes from the LA Sound Dogs team are big fans of using original field recordings in their films. They needed the signature sound effect of Ali’s fans’ vicious chant: “Ali bomaye!” Of course, it’s not possible to recreate this with voice actors in the studio due to the sheer volume of people required. Greg and Rob had heard that Ali’s daughter Laila was boxing Joe Frasier’s daughter, Jacqui, in upstate New York. I was nearby in Toronto. There was no way to know for sure if the fans would chant, but they kindly gave me the opportunity to drop everything and visit the event. We prayed that the chant would occur. Due to some miscommunication, I didn’t have clearance for the event, and had to work incognito with a stealth kit to gain access. There was no telling if the crowd would chant, at what level, or for how long. As Laila Ali entered the stadium, the crowd erupted with the bloodthirsty cheer. I captured it all, and the field recordings made it into the film. Lately I’ve focused on field recording the sound of cities and cultures around the world. I am currently on a two-year journey throughout Southeast Asia capturing the sounds of the countries and cultures there. I have recorded thousands of sounds of Cambodia, Thailand, Bali, Malaysia, and more. It’s challenging to find authentic sounds away from televisions, music, and touristy spots. It takes prowling for sounds in unconventional places often not listed in guidebooks or shown on maps. It requires embedding yourself in the culture to understand what sound means to the people there. It’s like unearthing treasure when you discover these golden locations and manage to capture a pure, sonic snapshot of these rare places without problem sounds interfering. When those sonic cultural slices cause a listener there to feel nostalgic, or help them identify a place through sound alone, that’s when I feel my field recordings are successful. There is a huge field recording community online. My blog or field recording books simply would not exist without the support of the widespread network of field recordists online. I wasn’t aware of how widespread the online community was when I began writing in 2011. As a well-known field recordist with an online presence (website, blog, etc. ), what do you think the future holds for the craft? Is an identifiable, field recording ‘culture’ or community developing, or is it already well-established? There is a huge field recording community online. My blog or field recording books simply would not exist without the support of the widespread network of field recordists online. I wasn’t aware of how widespread the online community was when I began writing in 2011. 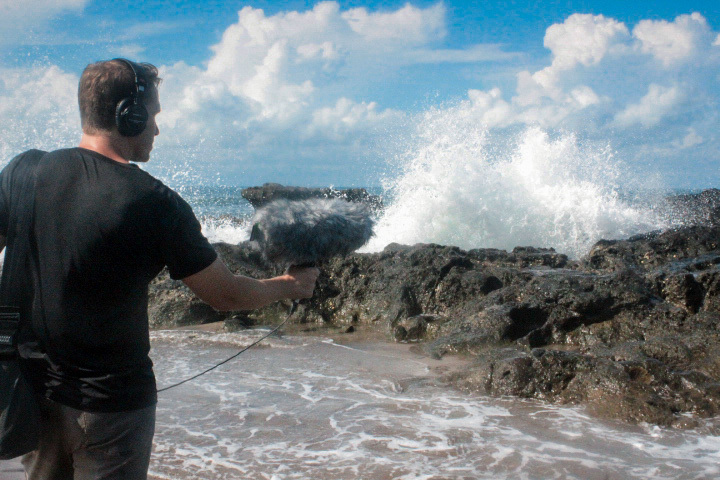 However, there are communities of field recordists specializing in film, game audio, theatre sound, and even phonography, the artistic branch of field recording. This is especially significant since there isn’t a formal method to learn field recording. Until recently, knowledge about how to do it was relatively scarce. I think that’s why each one of these communities is welcoming, positive, and shares knowledge freely. Field recording is mostly a solitary craft; it’s difficult to capture sound effects cleanly if there are “too many cooks in the kitchen”. So, many field recordists work alone. I think this is why the online community is so strong and supportive – it gives these craftspeople the opportunity to connect in a way that is more difficult when actually working. In the past a small handful of websites connected these people. Now there are dozens of focused communities, forums, social media, and websites that connect everyone and encourage them to share their work. I think that’s an indication of what the future of field recording holds. In the past, sharing field recordings wasn’t easy. Networks were fragmented. SoundCloud helped, but it is mostly designed for music. Now, field recordists have been sharing collections or albums of field recordings at a record pace. This has been growing at an exponential rate in the last two years. I think as this solidifies the craft of field recording will become more widespread and more understood. Best practices will crystallize. My hope is that this will help produce better sound throughout all media: film, television, advertising, everywhere. As the community continues to grow, I believe the appreciation for excellent audio will grow with it. So many disciplines and interests lead to field recording. That makes it an incredibly diverse craft informed by a rich range of experiences. In your experience, do people from specific disciplines tend to gravitate towards field recording, or incorporate it in their own work? If so, what are the most significant disciplines encompassed by ‘field recording’? 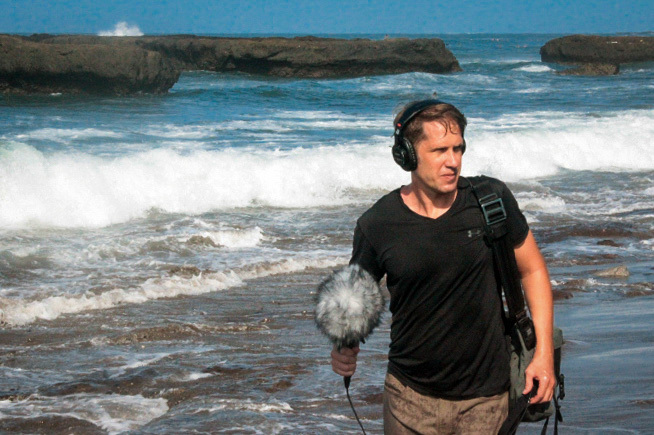 Field recording is a fascinating pursuit because there isn’t yet a formal, focused way to study it. There are workshops and a few supplementary courses, but there isn’t a single degree or practice that explores field recording in depth. So, it’s often begun as an incidental craft. People find they have a need for a specific sound, buy a recorder, and start capturing clips. That’s interesting since the result is that the label “field recordist” isn’t limited to a rigid definition. Most people I’ve met discover field recording through music. Many people began as musicians, learned about digital recording that way generally, and branched out into field recording from there. For instance, they may have wanted to supplement a song with an intro of thunder and rain. Others may want to use elements like metal hits and so on to build samples for a track. So, they buy a portable recorder and head outdoors. They capture the tracks themselves, and become addicted to the thrill of capturing a new, evocative sound. Game audio sound pros and film and TV editors are another large group that incorporate field recordings in their work. For example, a classically trained feature film editor may realize they’re lacking just the right sound so they head out of their edit suite to record it themselves. Game audio pros demand a large amount of variation from single sound subjects. That’s not always provided in existing sound library collections, so these people create it on their own. But, really, field recording has become more widespread in recent years. All sorts of creators are exploring it. Recently a blog reader emailed me about beginning field recording. He shoots amateur hockey games and wanted to improve the soundtrack with higher-quality audio. Another reader from India is fascinated with the trains there and began using field recordings to supplement his videos. That diversity is part of the beauty of field recording. So many disciplines and interests lead to field recording. That makes it an incredibly diverse craft informed by a rich range of experiences. The end result is inspiring, too. People are valuing audio more, with an encouraging result: the appreciation of audio is being raised, worldwide.